This charity drive is taking place at my wife’s place of work, and seems a worthy cause. Please consider donating. 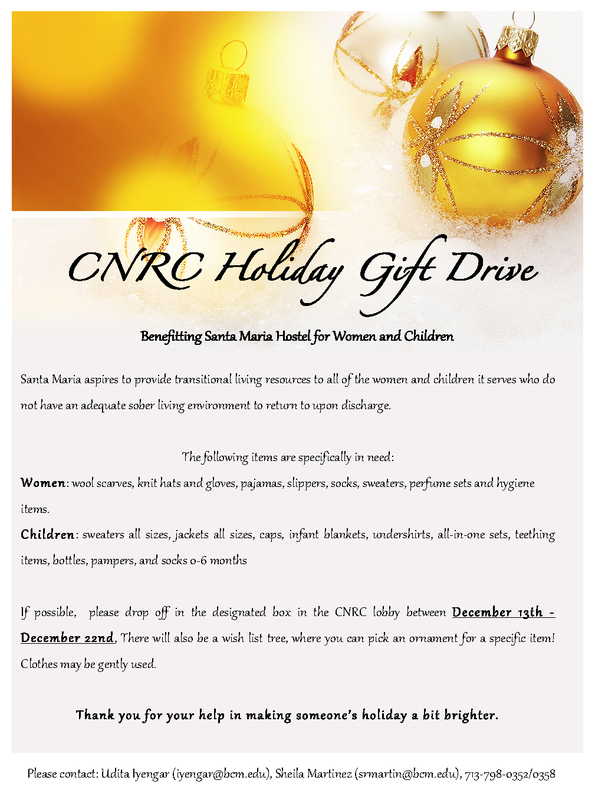 If possible, please drop off in the designated box in the CNRC lobby between December 13th -­‐ December 22nd, There will also be a wish list tree, where you can pick an ornament for a specific item! Clothes may be gently used. 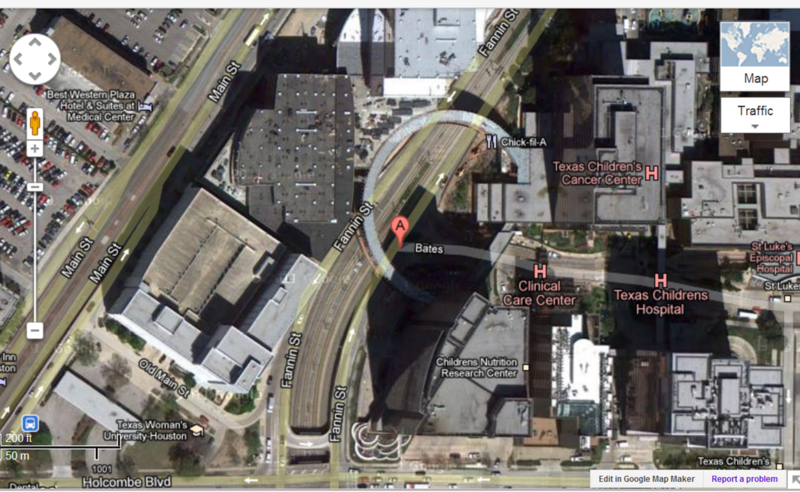 LOCATION DESCRIPTION: The Texas Medical Center. On the south side of Bates, just east of Fannin Drive NE-bound. WHEN: Now, thru December 22nd! This entry was posted in SOCIETY and tagged Bates, Baylor College of Medicine, Children's Nutrition Research Center, CNRC, Santa Maria Hostel, Sheila Martinez, Texas Medical Center, Udita Iyengar by Thinkwing Radio. Bookmark the permalink.